Auto Insurance and Newlyweds – Policy Combining Decisions! – Service Insurance Group Company. Getting married is an exciting time in a couple’s life; it is also a time for making some important family decisions. Marriage can affect personal auto insurance policies and newlyweds should research whether combining policies is right for them. Combining policies can offer some definite benefits; however, there are times when it might be better to remain with individual policies. A personal auto insurance company knows what is best in such cases. Following are a few guidelines new couples can refer to when wondering whether to choose joint insurance policies. The typical reason why most people combine personal auto insurance policies after getting married is to save money. Insurance companies provide a number of customer discounts, one being a discount offered to married couples who buy insurance with them. These discounts are often based on the concept that a married couple is viewed as a smaller insurance risk and less likely to have to file a claim. Some couples can save as much as 10 to 12 percent on joint coverage. Some personal auto insurance companies now also offer a similar discount for domestic partners, so be sure to inquire. A discount for being married is a more obvious discount that married couples can receive from an auto insurer because it definitely combines more than one vehicle into one policy and generates a multiple car discount. Auto policies, combined with homeowner’s or other insurance, can also result in even greater savings depending on the specific circumstances. The main stipulation for saving when combining auto insurance policies is that both drivers have a clean driving record. Some insurance companies only offer discounts when both drivers have no incidents counted against them. What is especially significant is if one driver has incurred enough penalties that they are considered a high-risk driver. In these cases, a good driver can experience higher insurance rates when on a joint policy with a high-risk driver, so keeping separate policies might be more financially sound if insurance carriers are willing to keep coverage separate. There is the concern with many carriers that both policies could be brought into a claim situation in the event of an accident involving just one of the household members. This is often referred to as "stacking limits." 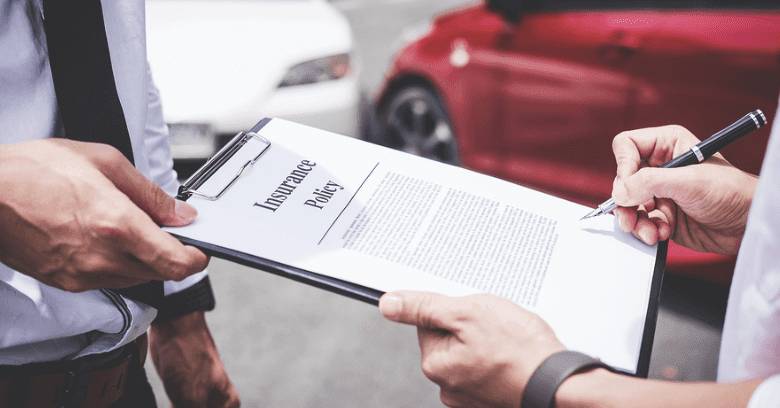 How risk affects insurance rates is a question for each auto insurance company to answer, since many treat high-risk differently based on various criteria. Additionally, there are some cases where just living in the same home with a high-risk driver can increase a low-risk driver’s auto insurance rates. In some states, this can be worked around by having the low-risk driver add a driver exclusion to their policy. The problem here is that not every insurance company will do that and if an excluded driver operates the covered vehicle for any reason and has a loss, any payment for that loss will not be covered. Generally speaking, combining personal auto insurance policies for married couples is beneficial. Couples can save money on various policy discounts and only have to manage one policy. When circumstances are questionable, couples are encouraged to discuss insurance options with an experienced personal auto insurance company and determine the best way to cover both drivers! Need A Personal Auto insurance Company In College Station? Service Insurance Group Can Help With Your Personal Auto Insurance Needs! Call One of Our Locations Listed Below! Hail Claims and Insurance Fraud - Part 2 - What Are The Red Flags?